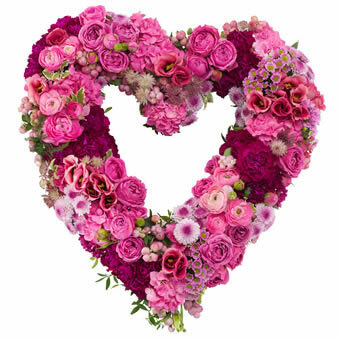 Heart-shaped funeral wreath in pink colours. You will always be in my heart. Send your personal greeting along with this lovely heart-shaped funeral wreath. It will typically contain flowers like roses, astrantia, eustoma, hydrangea, santini and dianthus.